Child Labour is a social issue in our country. It is an act of employing under aged child in different organisation. This essay provides information about child labour, let your child know about this social issue so he/she can easily win any school essay competition. The Child Labour has been an international issue and it is spoiling the future of many kids who aspires to be a really great person someday. It completely shattering the dreams of those children. They don’t deserve to be treated like this. And the first responsibility in the hands of their parents. If they have given them birth it is their responsibility to nurture their child and offer him a secured place to live. Second government is also responsible for this shameful act like child Labour. We are living in 21st century; we still have to debate in such issues like child Labour. Why government is not taking serious steps in resolving this heinous criminal issue. The law in Indian says no child can be forced to work below the age of 14 years. But still there so many children who have to work really hard to earn the two times meal. The cause for child labour is unemployment. 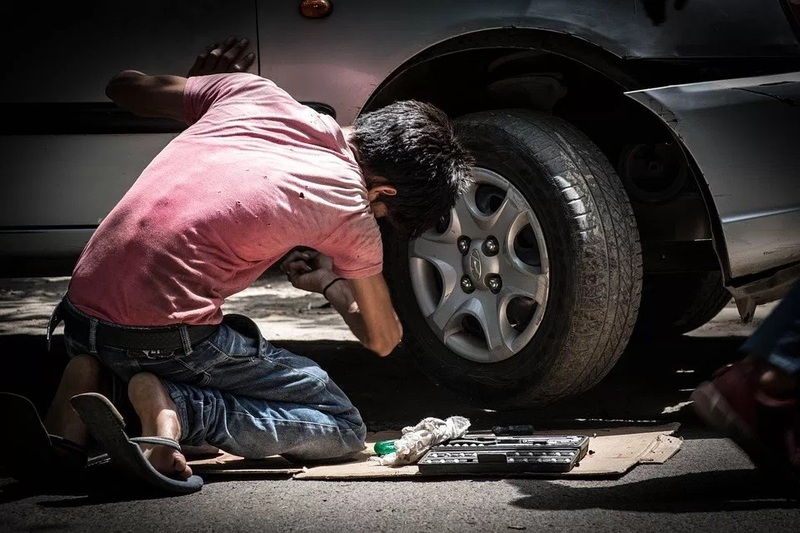 The organisations do not want to spend more money on a full-time adult worker so they keep a child to work on daily wage basis so that they have to pay less for similar work. As human beings we have become so selfish that we cannot even spare a small child! As a result future of our country is getting destroyed. Unfortunately majority of children in developing countries are engaged in different form of child labour. The supporters to this may call it Early Work Experience, but I call it child exploitation. In simple Words a child is made to work because of his/her poor financial families. Poor parents give birth to children and use them as money-making machines. Childhood is a stage of full of caring, love, creativity, and joy. So that a child can develop his/her social, intellectual, and sporting skills. Work at small age will corrupt the child’s mind to focus only on money based incentives. This will then develop a narrow-minded approach towards any work in the child’s mind. Moreover, the work allotted to a child is office Labour that requires no skills hence; it will not benefit the child for his/her future career. Apart from providing free and compulsory child education, the government must formulate a cooperative social model in which the constitutional god gifted qualities are identified among the under privileged children. As a result, the child will then work towards achieving excellence in what he/she is excellent. Children community centres may be established for giving the child a better standard of living. Child Labour is still practices in many countries and even after being mentioned as a crime, many organizations are still involved in it. Businessmen within mines, factories and certain industries are still indulging in child Labour. Poor children are more prone to be a part of it. Children carry a prosperous future that gets completely shattered due to such issues of child Labour. They need to get the proper chance to develop and get proper education. Indulging under aged children within different organisations should be completely banned. Children should never be limited by the parents and no force cannot be applied on them for contributing to the financial need of family. We need to realise the importance of sending our children to schools. Child Labour is such a heinous act that does not have any form of justification. It is really sad to see small children are doing hard work instead of going to school. The main reason behind this act is poverty. So many families take advantage of their poor economic background and force their children into such Laborious activities. According to the regulations of International Labour organization, it has been clearly stated that no child under the age of 15 years shall be forced to be indulged in any hard work that deprives them from education. If the employment makes any child deprived from a proper education then that is a criminal offense. Child Labour is forbidden in some countries and it has been a major concern internationally. If we are going to destroy the future of coming generation then it is us who are going to suffer. As stated by the Indian Law, the child who is below the age of 14 years shall not be forced to work and even their parents cannot force them to do. But still in India under aged children are found working to earn a living small age kids are found working in factories, restaurants and offices. Children are also involved in some domestic aids, small-scale workshops, stone breaking and shopkeeper’s assistant. There are different reasons for child Labour happening in different countries. The most common reasons for child Labour are poverty, repression of child rights. Unemployment is another major reasons for child Labour in India. Lack of education is another reason for child Labour, a study in the year 2005 also stated that 75 million children were not able to get proper education. Inadequate social control is a reason for child Labour that give rise to child Labour within the domestic work and agriculture. The small children indulge in some kind of work to financially help their families. For removing this social issue from countries, it is important to take few steps like Creating more unions will lead in preventing child Labour as it will encourage people to take a stand against child Labour. Each and every child shall be given proper education and proper schooling but the co-operation from the parent’s side is really necessary. The child Labour needs to stop by creating awareness among people. Especially when the future of a developing country depends mostly on children of this present age. Every family needs to earn a proper living so that they could provide education to their children. So, the poverty level will decreased and people will not need their children to work. Family control will also help in removing the child Labour problems from the country, Employment opportunities need to be increased and child workers should also be replaced by the adult workers. At the same time, child Labour and trafficking rules need to be strict so that no one dares to indulge in Child Labour. This is a really a major social issue and that needs to be resolved soon. And this can be done only if all the people from the parents to business organizations and government come all together. We need to realize the importance of sending our children to schools for the better future of our nation.